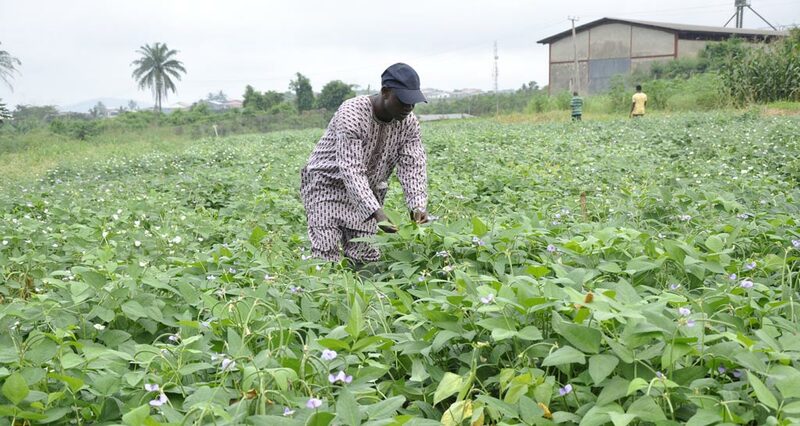 Cowpea is an important staple crop of the savannah region of West Africa but efforts to increase its productivity may be hampered by climate change particularly reduced and erratic rainfall and increased temperatures. 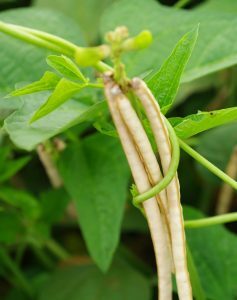 Important traits for coping with changes in climate may lie not only in the cultivated cowpea but also in its near relatives. Consequently, cowpea breeders from three West African countries met for their first annual project meeting on 25—26 April, at IITA’s Guest House in Lagos, to discuss progress in identifying individuals of related species that may prove useful in enhancing the tolerance of cowpea for heat and drought. Results from the first year of project implementation showed that important variation was present in wild germplasm with potential to be used to improve the cultivated crop once appropriate crossing and selection had been carried out. Ousmane Boukar, the Project Leader, remarked that “during the first year of this important project, the evaluation of cowpea wild relatives under high night temperatures (>20o C) and water stress has revealed several accessions with better performance than existing drought and heat tolerant cultivated lines under these stress conditions. The identified accessions will be confirmed this second year and their desirable genes for climate resilience introduced into cultivated lines”. Michael Abberton, head of the IITA Genetic Resource Center, also pointed out that the genebank maintains more than 1900 wild cowpea relatives with about 400 of them being cross compatible with cultivated lines. The project is funded by Global Crop Diversity Trust and led by IITA in partnership with the Institut de l’Environnement et de Recherches Agricoles (INERA) Burkina Faso, Institut National de la Recherche Agronomique du Niger (INRAN) Niger, and the National Centre for Genetic Resources and Biotechnology (NACGRAB) Nigeria.